and respect for all living things. 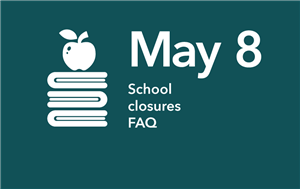 All PPS schools will be closed on May 8, 2019. The last day of school for PPS students will now be June 12, 2019. It's time to release SES's brand new Queer Straight Alliance T-shirts. 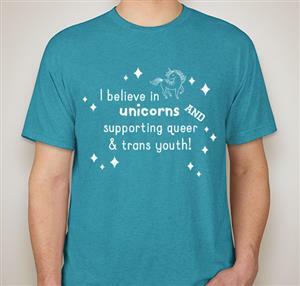 All proceeds benefit our Middle School and 3x5 Queer Straight Alliances. This year, the shirt is made of an especially soft and comfy material. 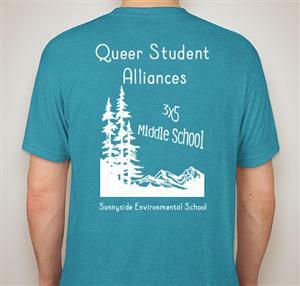 The shirt also features both QSAs, so all kinder through eighth grade students (and their families) can rock these shirts. Wearing the shirts helps queer and trans youth see visible allyship/support, and also creates a welcoming community on our campus and within our families. A select few shirts will be available for purchase at the QSA Day in May 2019. Thanks for supporting our queer straight alliances! ALL ORDERS ARE DUE BY FRIDAY, APRIL 26TH 2019. Sunnyside's final Connect to Kindergarten event has been rescheduled. 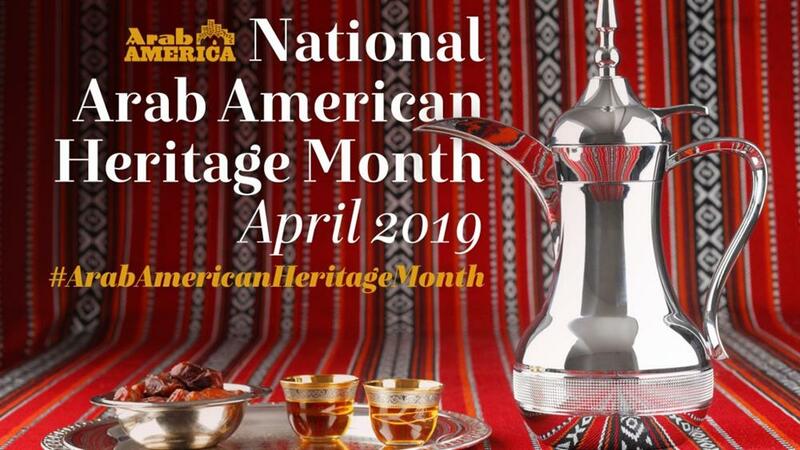 It will be held on Tuesday March 5th, 9:00-10:00am. Due to inclement weather, our Connect to Kindergarten event scheduled for Tuesday February 26th has been postponed. Our final event will take place early next week, exact date and time will be posted by 5:00pm Tuesday February 26th. Registration packets for neighborhood enrollment will be at Connect events and also in the school office. Families can turn in completed registration packets to our school secretary Sarah Conley- early registration is encouraged. Families applying to the lottery should apply online at PPS Enrollment & Transfer. This was a letter sent via email on November 9th, 2016. 1. We are a school community that believes climate change is real and is an urgent, ominous threat to the international community. 2. We are a school community that believes in the ever-present role and presence of whiteness and racism, in schools, in the United States and in the world at large. 3. 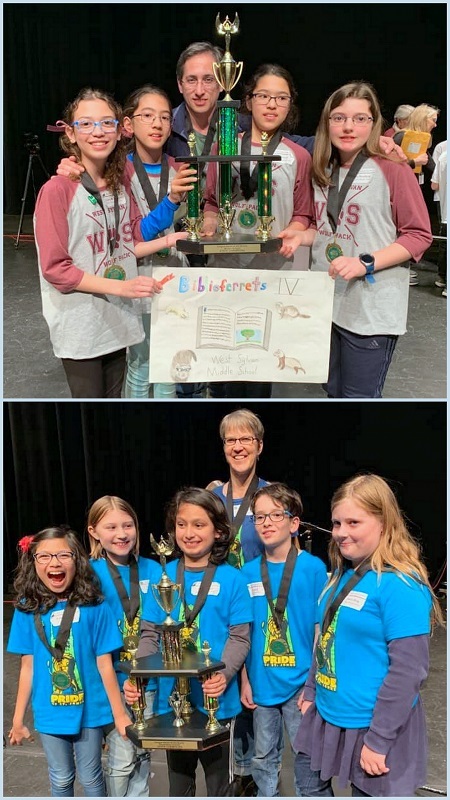 We are a school community who believes that, to paraphrase Glenn Singleton, "everyone is better when everyone is better." 4. We are a school community who believes that true equity is achieved when every single human-- regardless of race, class, gender, sexual orientation, personal beliefs or religion--has exactly what they, individually and collectively, need and deserve in this life. 5. We are a school community that knows that the work of deconstructing both overt and institutionalized racism and injustice is both sacred and never-ending. 6. We are a school community who believe in truth, love, and reconciliation, regardless of context or circumstance. Families have been in and out of school all day with a range of emotional responses to the Presidential decision. Many children have been following this election very closely in their classrooms--I expect children to have a wide range of questions and a wide range of emotional responses to the election results over the weekend and also on Monday. Please remind them of the list above, add to the list, answer their questions honestly, and support them as they work through their emotions, whatever they may be. I've attached an article with some ideas and advice for how to talk to children who may feel emotional as a result of the election results. The article is geared toward children who may be upset--I am certainly not presuming that ALL children will be upset or that ALL adults connected with our school community are upset. And, as a leader of a community I am making a conscious decision to send this email in response to parent requests today, many of them asking for help supporting their own children. I am looking for other resources for teachers and parents, for example, articles that give ideas and strategies around facilitating productive discourse in a classroom where 1) some students feel emotional and 2) different perspectives need to be held, given space and honored regardless of opinion. This is real for us here at Sunnyside, it will be real for us next week. My belief is that I would be unethical if I didn't communicate this to our beloved parent/family community. "To all the little girls who are watching this, never doubt that you are valuable and powerful and deserving of every chance and opportunity in the world to pursue and achieve your own dreams."